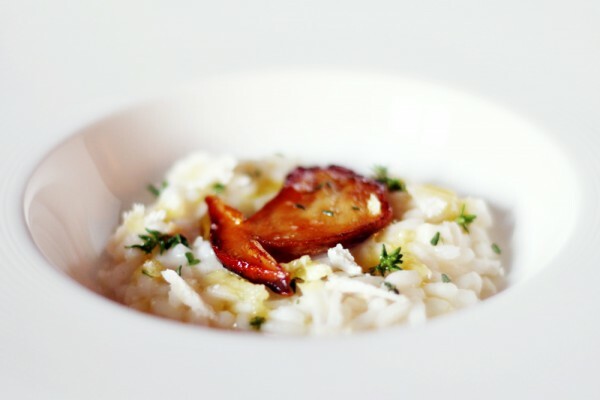 Learn how to master a Porcini Mushroom risotto in this recipe. We’ll teach you all about this great dish. Porcini or Cep mushrooms are one of my absolute favorites and when the season is right you can find loads of them here in Sweden. Whenever I get my hands on fresh forest mushrooms I go with a classic recipe like pasta, risotto, a mushroom toast or serve them as a side for meat dishes. When it comes to porcini mushrooms I almost always keep the additional flavors classic. This time that meant Parmesan cheese and thyme with mushrooms in a creamy risotto. There are measurements to this recipe but think of them more like guidelines than laws. 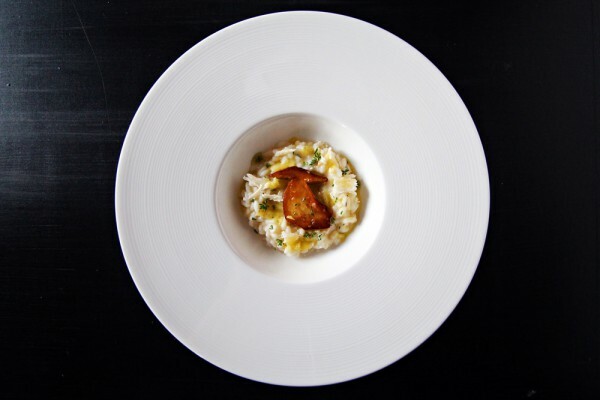 The texture of a risotto can easily change depending on heat, what pot you use so it is almost impossible to say exactly how much stock, butter or seasoning is required. You want the rice to have a little bit of bite and be creamy, if it gets too dry and you already are happy with the seasoning you can use water to adjust the texture. If you’ve never made risotto before I recommend that you try it one time before, when you do you can exclude the porcini mushrooms. Also risotto needs to be served straight away when it is done, otherwise it will keep cooking because of the heat in itself and leave you with overcooked rice and a gooey rice porridge. 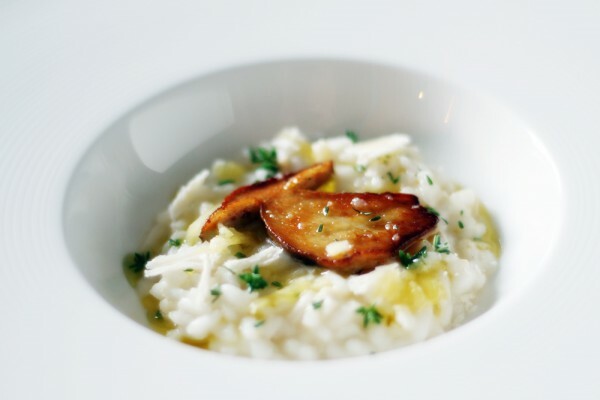 So make sure your guests are sitting down once you’re getting ready to serve you porcini risotto. Select the best looking mushrooms and set aside, these will be used for decoration later. Chop remaining mushrooms into cubes. Finely dice the garlic and shallot onion. Add onion, mushrooms and garlic to a pot or saute with some olive oil. Cook the mix in the oil until it is soft on low heat, season with salt and pepper. Add the rice and let it cook for a few minutes then add the white wine and let it reduce until almost dry. Add the stock a little bit at the time and keep stirring while the rice cooks, when the rice is almost cooked through add grated Parmesan cheese, a few leafs of thyme and a bit of butter and set aside. Roast the sliced mushrooms in a pan and season with salt and pepper. Stir the risotto and season if necessary, if it get’s to dry add a bit of water. Add the risotto to a plate and then add the sliced fried mushrooms, shave some Parmesan on top and a more leaves of thyme. Serve!